The most anticipated Naruto game in a long time, Ultimate Ninja STORM, is set to demo on the PS3 July 17th. If you’re one of the lucky ones that can make it out to Anime Expo 2008 (July 3-6, Los Angeles Convention Center) or Comic-Con International San Diego (July 23-27, San Diego Convention Center), you will get to play the full game there. 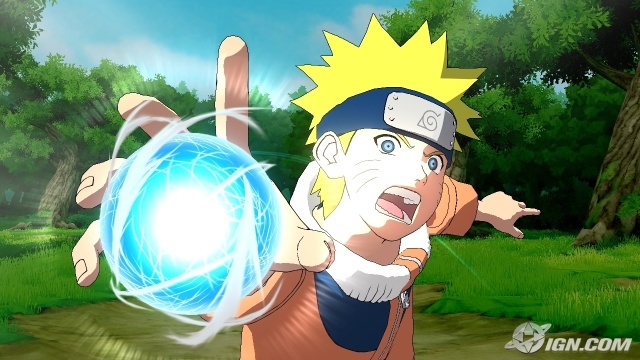 The Naruto: Ultimate Ninja STORM demo will be available to download on the PlayStation Network on July 17th. In the demo, you will be able to try out the single player and head-to-head multi-player modes. However, the only characters available will be Naruto or Kakashi. Here’s a Gamespot interview with the creators of Naruto: Ultimate Ninja STORM that shows off the demo that’s to be released. If you haven’t seen the game yet, this is the closest game ever produced to mimic the actual anime.